It the final week of No Fat November Podcasts and Coach Rob shares some of his other favorite weight loss tools. Everything from his favorite tools in the kitchen, using the muscles between your ears and how auxiliary strength training in the gym can help you improve body composition and improve your weight loss opportunities. 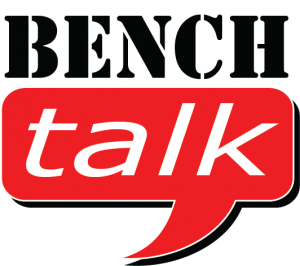 This is the final Bench Talk in the No Fat November Podcast Series. Please don’t forget to leave questions, helpful ideas and even your own experiences for our final joint Athlete Q & A with Coach Kelli!